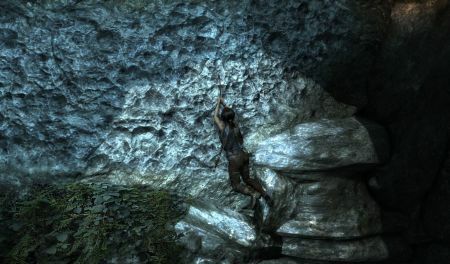 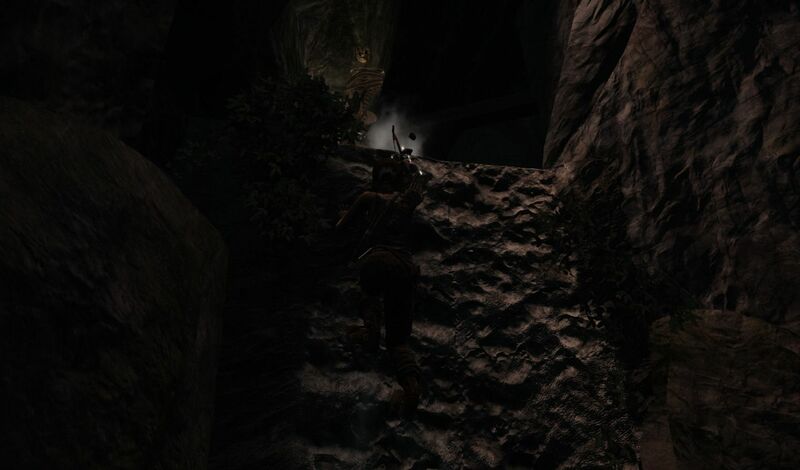 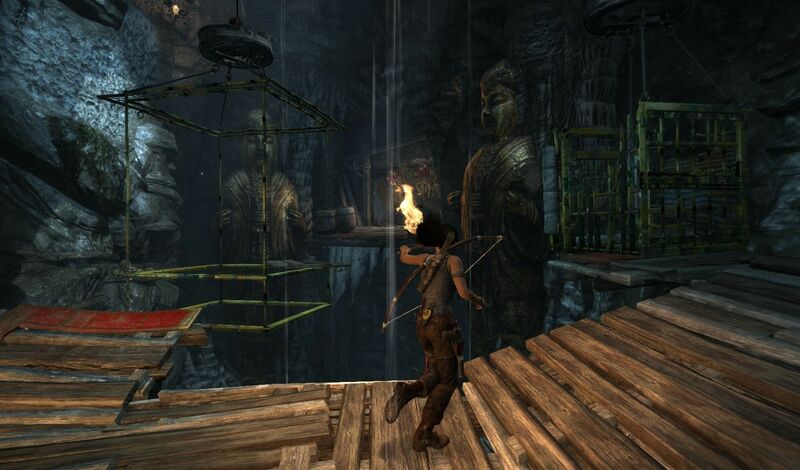 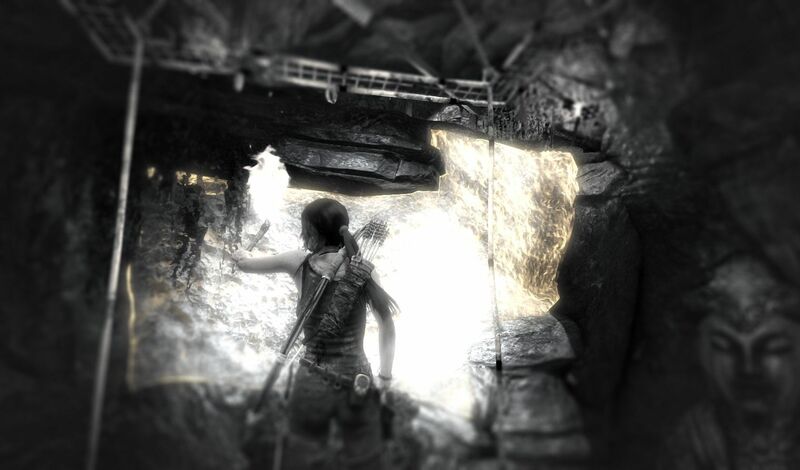 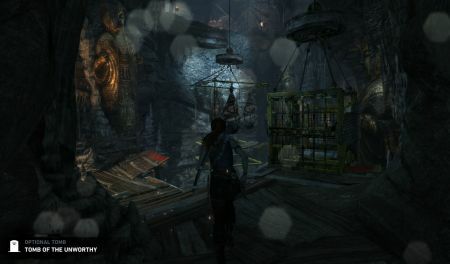 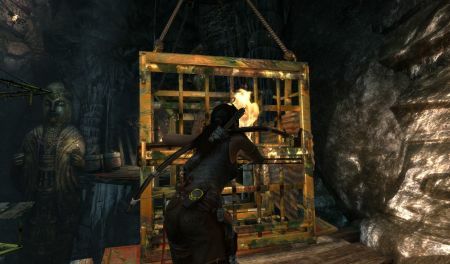 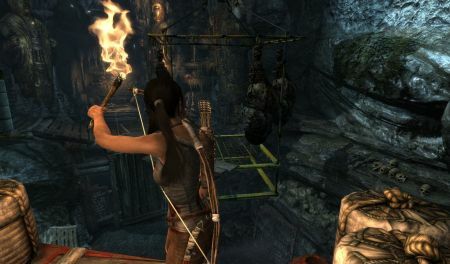 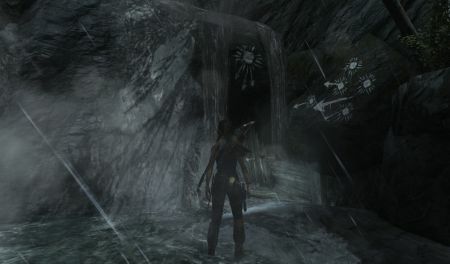 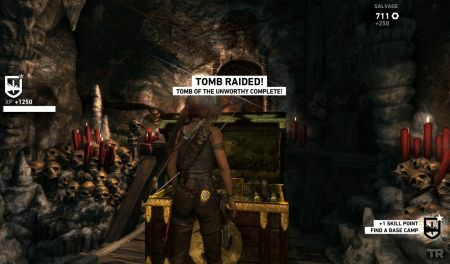 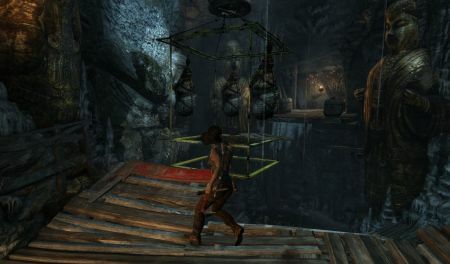 Notes: Entrance to this optional tomb is through a waterfall near the wolf cave where you picked up Roth’s medicine (as part of the main storyline). The puzzle in this optional Tomb is to reach the top of the rockface and pick up the salvage and Treasure Map. Use our screenshot walkthrough for help. 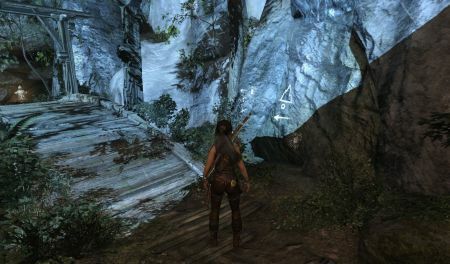 Follow the path, past the campsite, until you reach this cave, containing the main puzzle. 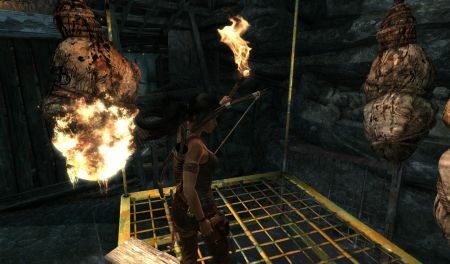 You first need fire and you will have to quickly jump onto the central metal cage and quickly jump onto the far platform (you can see the fire on the far side in this screenshot). 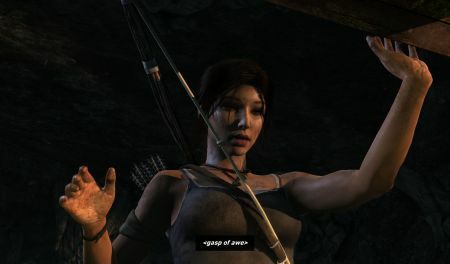 Once you get fire jump back to the central cage. It will descend and you need to burn those mummies (or whatever those are) to lower the weight of the cage. As you burn all three you will ascend and be able to jump back onto the platform from where you started jumping in the first place. Go right to the other cage. 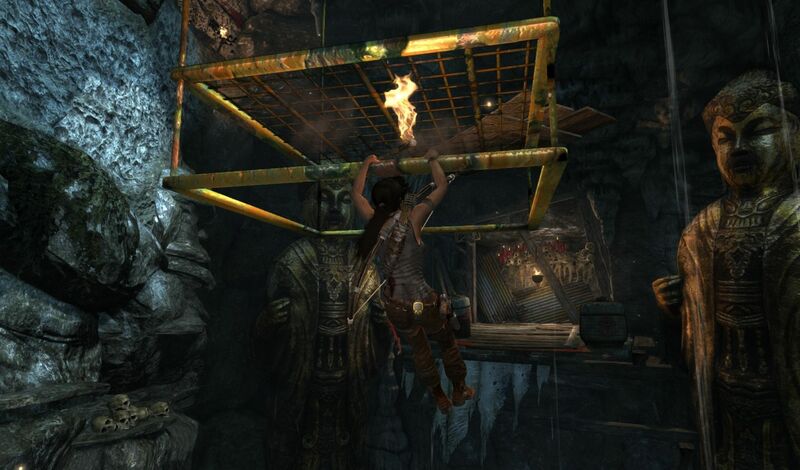 Push it over the edge to have the central cage go up even further. Jump and grab the bottom of the central cage. Jump towards the jagged rockface and press your action button (E if you are playing on a PC) to hook on. Now just climb and you will reach the treasure. 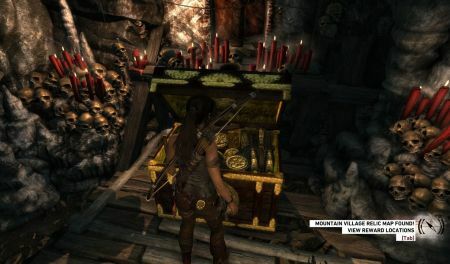 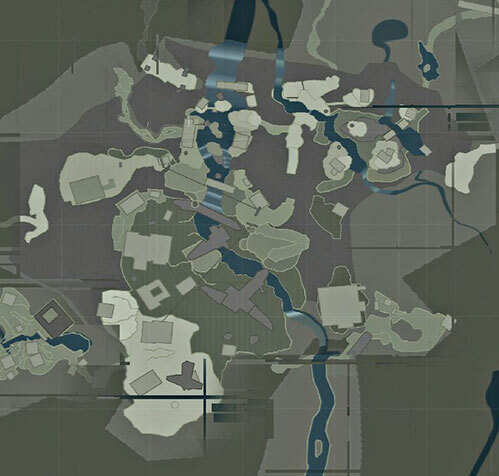 You also unlock the treasure map of Mountain Village.